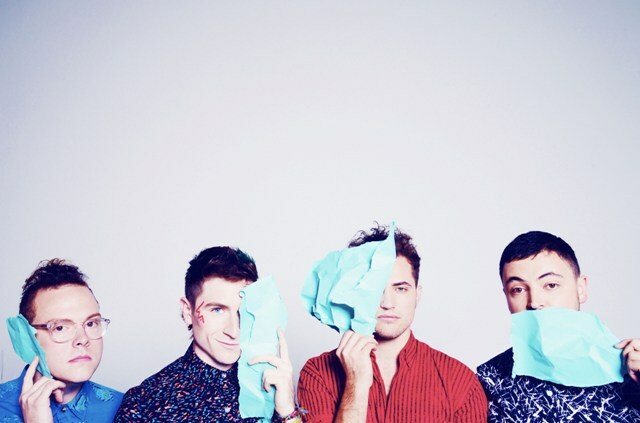 American pop-rock band Walk The Moon supported You Me At Six in the UK earlier this year but now they are going it alone on a brief tour. The band from Ohio will stop off at London Heaven, Birmingham Temple (in Birmingham Institute), Manchester Gorilla and The Arches in Glasgow on consecutive nights from May 20 to 23. 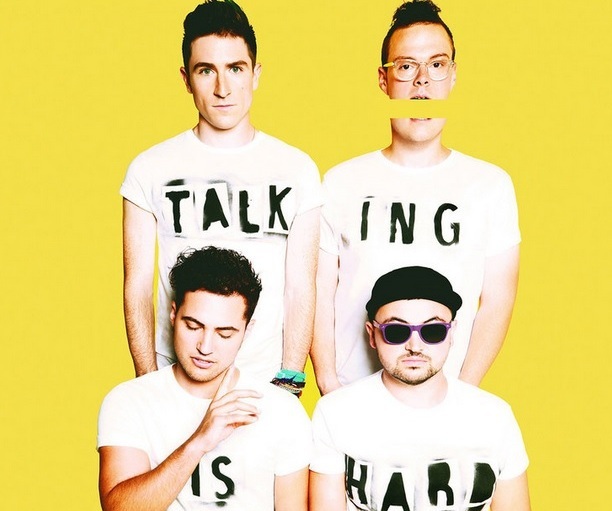 Walk The Moon, which features singer/songwriter Nicholas Petricca, Kevin Ray, Eli Maiman and Sean Waugaman, are about to bring out a new single, Shut Up And Dance, on May 31 ahead of their new and second album, Talking Is Hard, on June 8 with RCA. The album has been produced by Ben H. Allen, whose worked on projects for Gnarls Barkley and Animal Collective. The band said their second album will have new musical elements that take them into uncharted territory. It's been described as featuring raw vocals and new wave hooks mixed with heavier riffs. It will also include new versions of songs from their independently released 2010 album, I Want, I Want, including the viral sensation Anna Sun. Bassist Kevin Ray said: "We want out music to be the most fun thing you've ever listened to in your entire life. We want it to not just affect you emotionally, but also physically in that it makes you want to dance." While Nicholas Petricca that their music is influenced by their favorite New Wave artists including Talking Heads, David Bowie and The Police and is synth-heavy with pop hooks, chanted melodies and sunny harmonies. Petricca explains: "I like to write about this idea of feeling young throughout your life. Anna Sun' is about eternal youth, and it recalls a lot of my memories from college, but it also addresses the fear of losing that innocence and falling into a routine. I feel like the things we do to escape, like going out and partying, are to recapture the imagination you had a child, which is something that speaks to me personally as a songwriter. All of my favorite songs have always set my imagination running. In that sense, I love the idea that we could be a band that gets people into Neverland, and lets them make their own movie in their head while they're listening." The band was launched in 2008 by Petricca. Petricca and Ray had known each other as toddlers as their mothers were close friends, and Ray and Waugaman had played in bands together. Petricca then met Maiman through the local scene in Cincinnati. Their first gig together was at Cincinnati watering hole the Northside Tavern but now they are performing at SXSW, Bonnaroo and Lollapalooza festivals. Walk The Moon has attracting a broad mix of fans who have their faces painted by the band in a pre-show ritual. "They're there, they've got face paint on, and they're playing air guitar. It's awesome. We just create the music we love and hope that other people love it, too." Wed 20 May - London Heaven - Under The Arches, Villiers Street, London, WC2N 6NG - visit the website. Thu 21 May - Birmingham Temple - The Institute, 78 Digbeth High Street, Birmingham B5 6DY - visit the website. Fri 22 May	- Manchester Gorilla - 54-56 Whitworth Street West, Manchester M1 5WW - visit the website. Sat 23 May - Glasgow The Arches - 253 Argyle Street, Glasgow, G2 8DL, Scotland - visit the website. Tickets cost from £15.50. 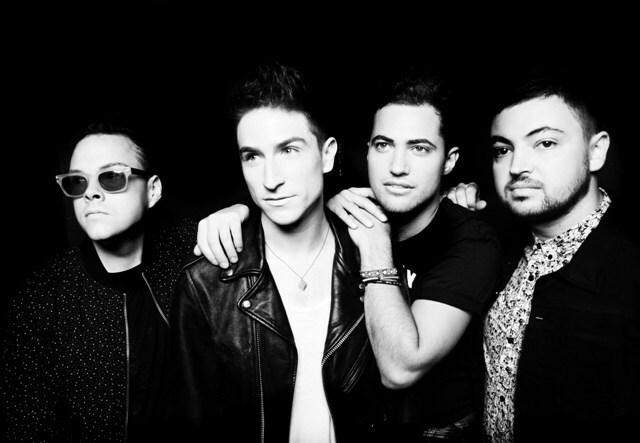 For information, visit the Walk The Moon website.